“As this island lies in the 57th degree, the air cannot be supposed to have much warmth. 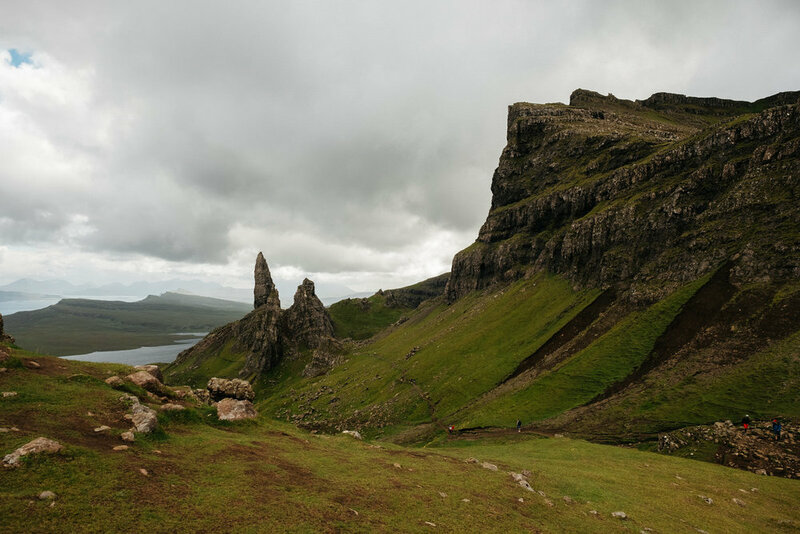 Skye lies open on the west and north to a vast extent of ocean, and is cooled in summer by a perpetual ventilation, but by the same blasts is kept warm in winter. Their weather is not pleasing. Half the year is deluged with rain. From the autumnal to the vernal equinox, a dry day is hardly known, except when the showers are suspended by a tempest”. This description of Skye from Dr Johnson’s “A Journey to the Western Islands of Scotland” in 1773 is as accurate now as it was then. Skye is wet. 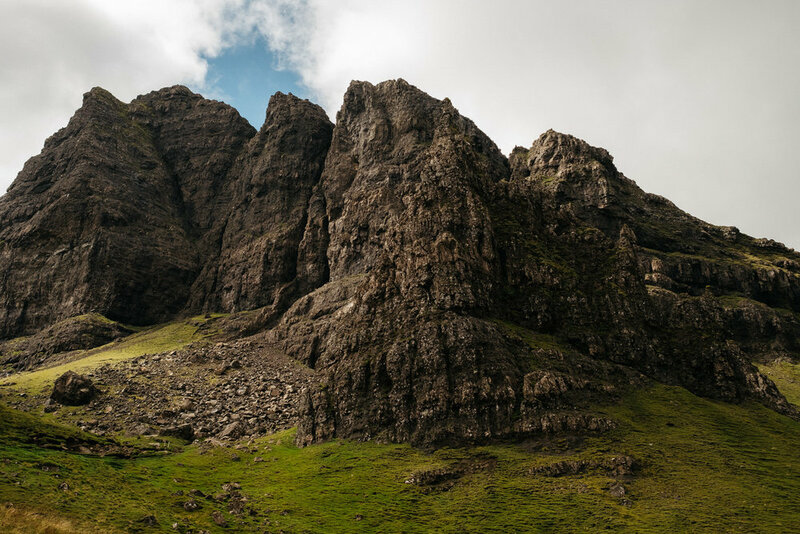 Skye is rugged. 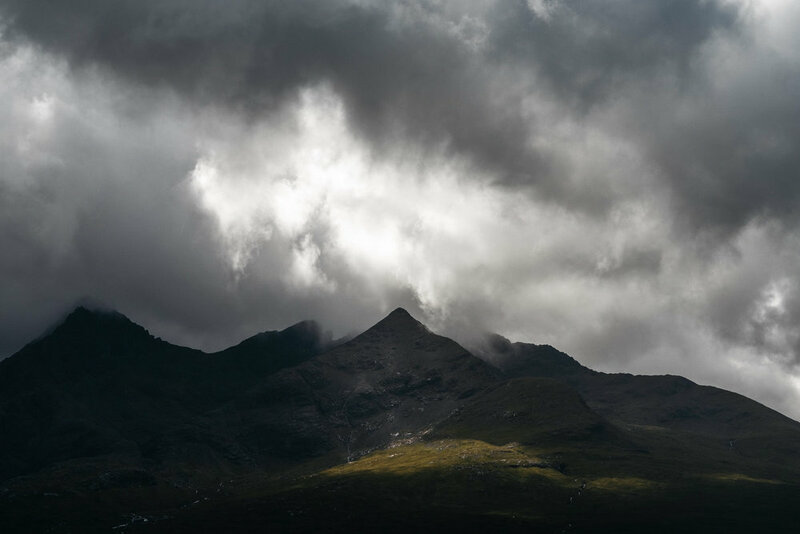 Skye is stark. Sky is beautiful. Caught in the middle of a perpetual storm, if the weather seems to lighten up for a moment - turn your eyes to the west and you’ll see the next one fast approaching. In total I spent three days on the island. Crossing over from Kyle of Lochalsh, I set up my campsite in a valley just outside of Carbost, underneath what I now believe to be the only tree in Skye (an exaggeration of course, but not as much of one as you’d think). My first day was spent familiarising myself with the area, and planning out what I would be doing for the next few days. 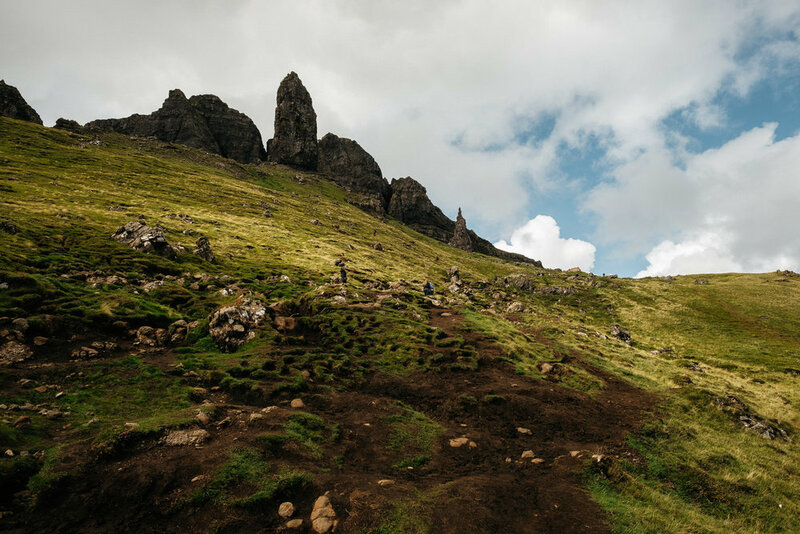 The big item for me was to hike the Old Man of Storr and The Quiraing, located in the far north of the island. 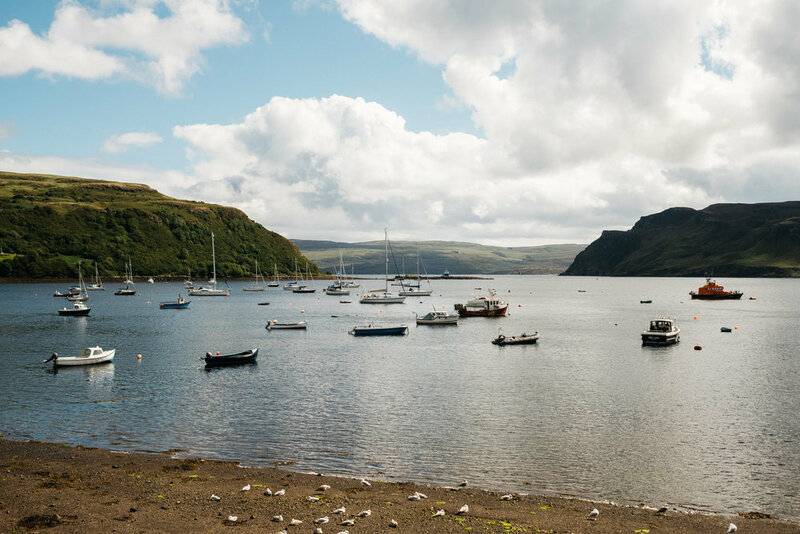 First though, it was lunch and some hiking supplies in Skye’s capital - Portree. The drive north is absolutely stunning. Forever looming in the distance is the outline of the mountains I was preparing to climb. 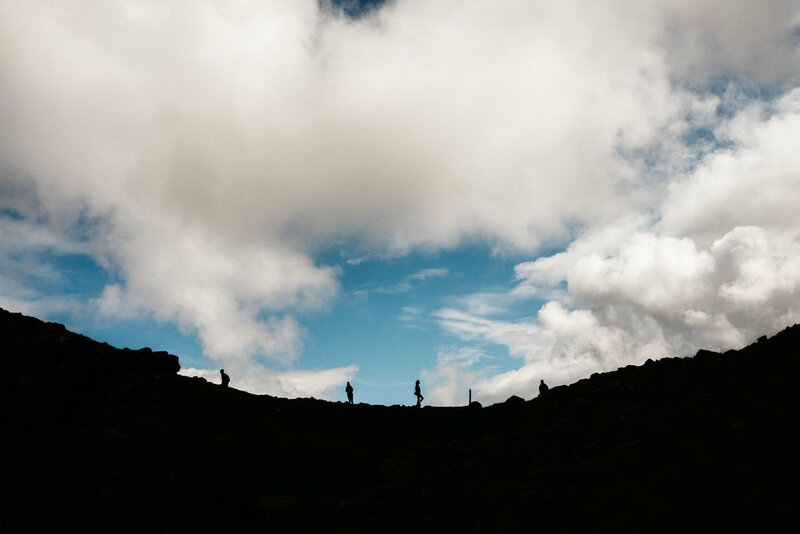 In all honesty, they look a lot scarier from afar - once I reached the foot of them, the path forward was surprisingly well maintained, with a steady stream of other hikers making their own way up. I teamed up with another hiker who I had bumped into earlier in the day outside of Portree. Together we scrambled our way up the mountain and enjoyed one of the most breathtaking views I’ve ever seen. Thimo and I parted ways at the top of the mountain, with me heading back down as he ventured deeper into the range to camp for the evening. 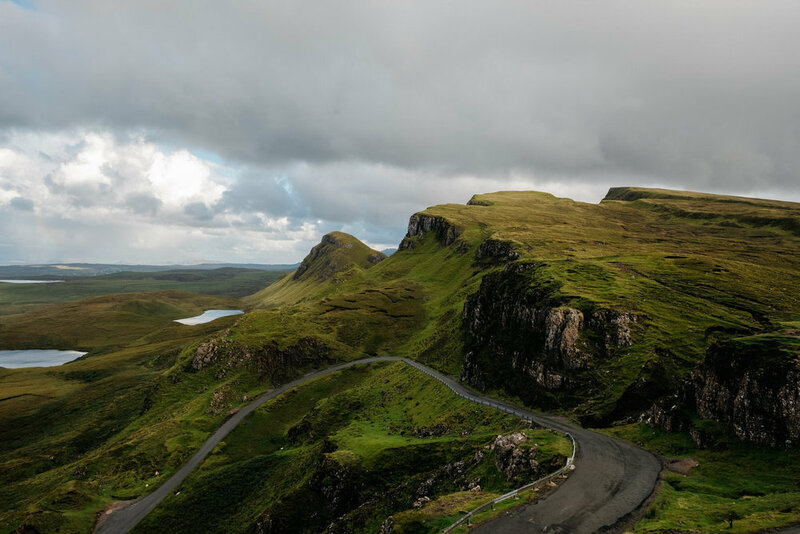 On my way back to the car I struck up conversation with a young Danish couple who were also heading in the direction of The Quiraing by foot. By the looks of things though, they weren’t going to be able to make it by sunset. I offered a lift, they jumped at it and together we wandered further north. 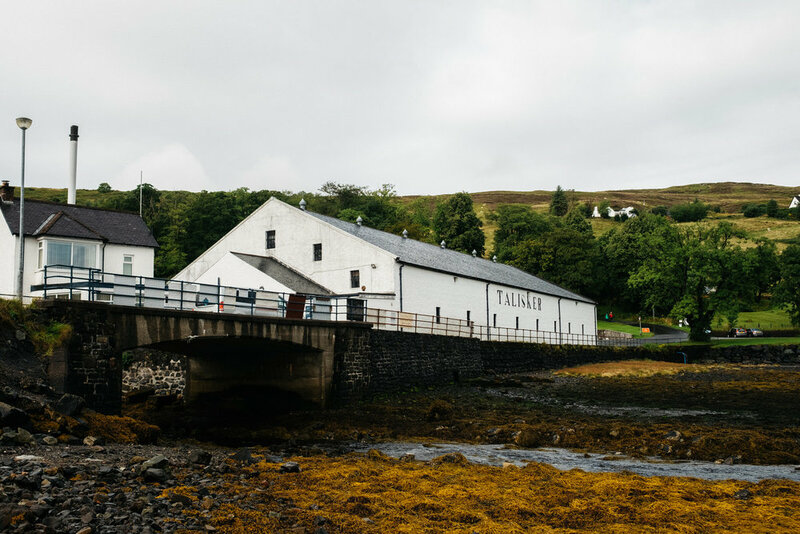 No trip to Scotland is complete without a visit to a Scotch distillery, and when in Skye - the only one to visit is Talisker. Back home this is one of my favourite bottles, so I booked a tour and experienced the place for myself. 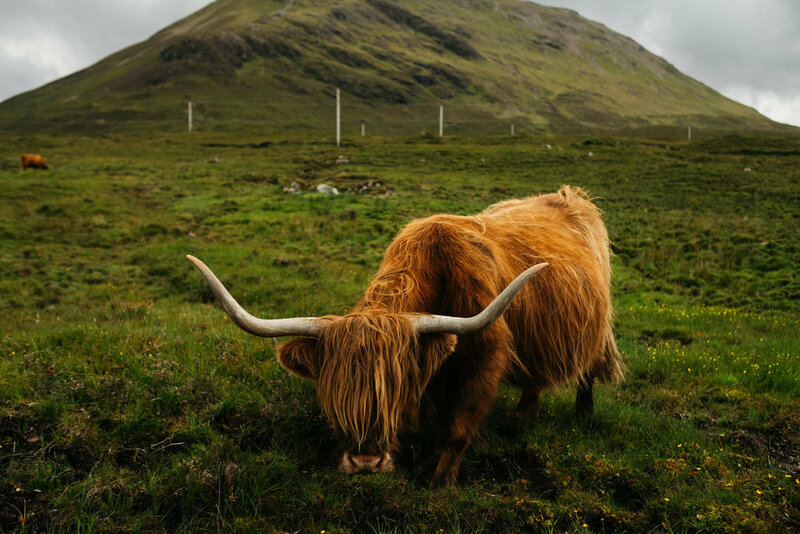 My final night in Skye ended up being quite eventful. I fell asleep to heavy rain and winds, but didn’t think too much of it - my sturdy tent will keep me dry! Fast forward to 3am, when I woke up to find myself submerged in what must have been at least an inch of water. 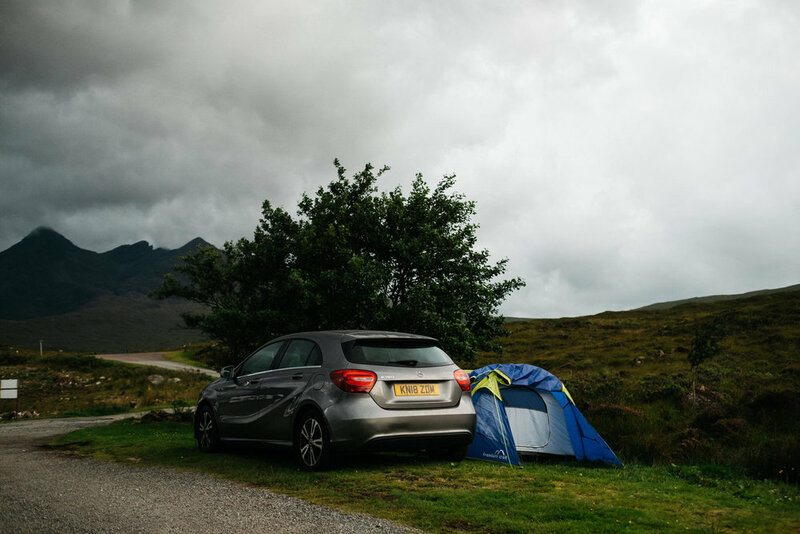 The wind had managed to blow the front of my tent wide open, so that was the end of my camping experience in Scotland. I spent the rest of the night sleeping in the front seat of my car, with the following morning spent binning my gear. 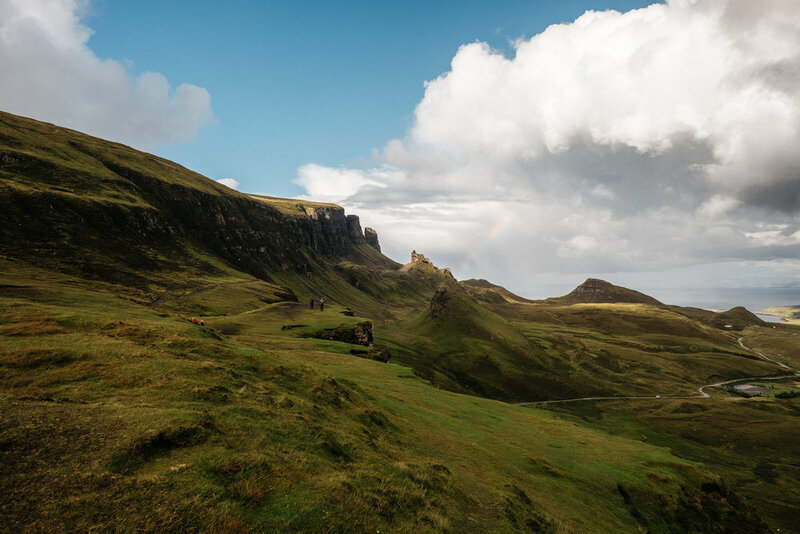 Even with a fairly rough final night, my trip to Skye will be one I’ll look back fondly on for the rest of my life.